The frontier of the Roman Empire in the North is a wall. It is a pretty impressive wall at 73 miles long stretching from the Solway Coast to the River Tyne on the NE Coast of England. The wall was built under the orders of the Roman Emperor Hadrian in AD122. Hadrian was in charge of the Empire from AD117 to AD138. 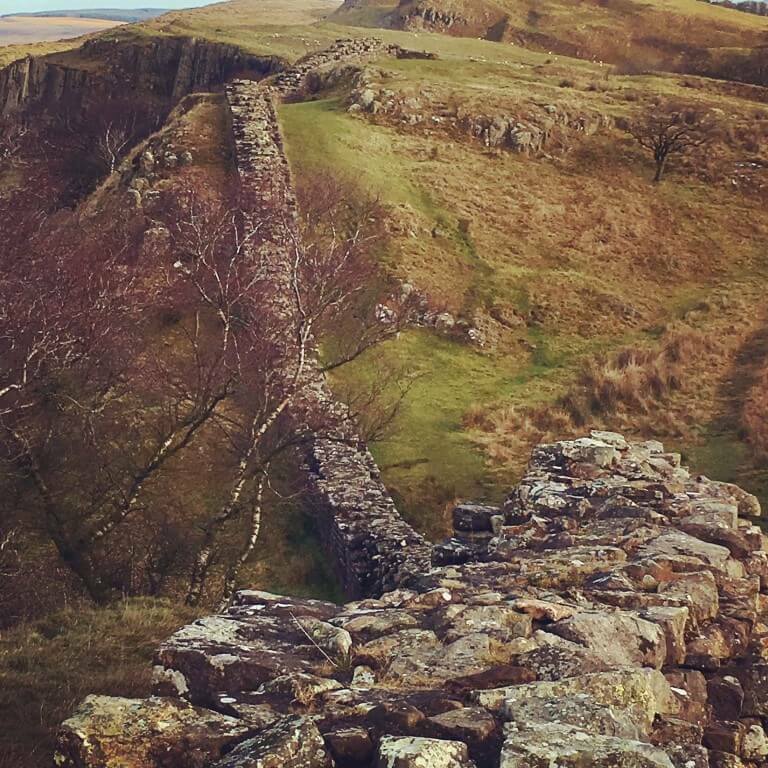 Hadrian’s Wall is seen by many as actually an admittance of defeat by the Romans. Previously they had been all about expansion and taking as many lands as they needed and could include in their vast Empire. However after their failure at the Battle of Mons Graupius in AD80 they decided to abandon the attempt to conquer the whole of the island and instead they became more interested in controlling the movement of people and goods into and out of their Empire. The wall was built to enhance frontier control and limit any possible attacks by the “barbarians” of the North. 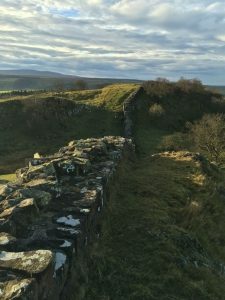 The monument that today we call Hadrian’s Wall is not only the remains of the wall but also its milecastles, forts, turrets and various earthworks. It is by far the most important monument built by the Romans in Britain. The Wall was the frontier of the Empire of Rome for almost 300 years, an empire which stretched for thousands of miles east to modern day Iraq and south into the Sahara Desert. The engineering behind the construction of the Wall is incredible and it took over a decade in total to build the wall from East to West. This included a 25 mile section beyond the actual wall and down the coast of Cumbria to provide even further protection along the rugged shores. 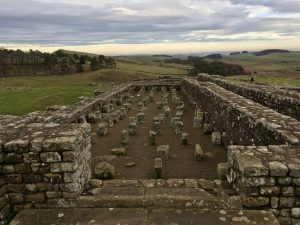 This blog aims to identify a number of sites which should be on the must do list for visitors coming to Scotland or the North of England and planning a day trip to Hadrian’s Wall. This small Cumbrian village would not be one of most people’s stopping points when visiting the Wall. However this beautiful little village today sits right on the route of the wall and for many lovers of medieval history it has great significance. 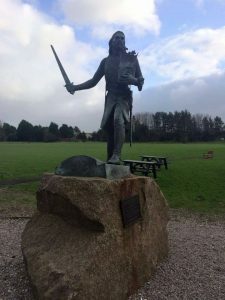 It is here that King Edward the 1st of England died in 1307 on his way to try and defeat the Scots under the leadership of their newly crowned king- Robert the Bruce. At Walltown Crags and quarry you can explore large sections of the roman wall. The Crags give some of the most scenic views of the Wall and how the roman engineers used the landscape to create the strong defence. Vindolanda was occupied between AD74 and AD410 and across these 300 years a large number of forts and villages were built here. Some of these were built even before Hadrian’s Wall was even thought of to help support the old Stanegate Road between Carlisle in the West and Corrbridge in the East. The settlement would have been home to about 3500 people of which 1000 would have been soldiers. The rest of the village would have been made up of families of the soldiers, slaves and some locals with certain skills. The extensive ruins highlight clearly the use of the site as a military base and the museum is a real gem. This site has a walk up to the fort from the car park but it really is worth it. At the hill on which the fort is built you will find a small museum and fantastic audi visual display. You will then go out to get an incredible view of the Wall stretching of into the distance with the fort at its heart. The highlight for us was the incredible granary building and the views across Northumberland. Chesters Fort lies beside the North Tyne river and is considered to be the best example of a Cavalry Fort anywhere on the Wall. The Fort guarded a bridge across the River and was probably used to raid into the lands of the tribes of Southern Scotland. It is also famous for its Roman Bath House. Corbridge was once a busy town and supply base where Romans and civilians would pick all their amenities. It remained a vibrant community right up until the end of Roman Britain in the early years of the 5th century. Today, you can still walk through the town’s streets and experience a time-capsule of Roman life. It is the most northers Roman Town in Britain and gives a real insight into roman life close to the wall. 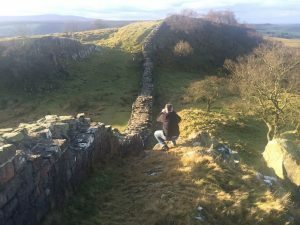 Hadrian’s Wall has some incredible places to stop and visit and these are just a few of our favourites. 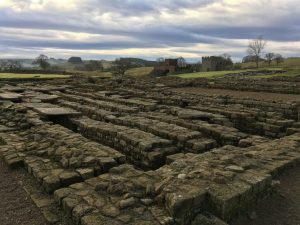 More information on our Hadrian’s Wall Day Tour can be found on the “Our Latest Tours” section on this page!